BerryWorld Crumble Traybake anyone? Are you looking for a new traybake recipe to try out? 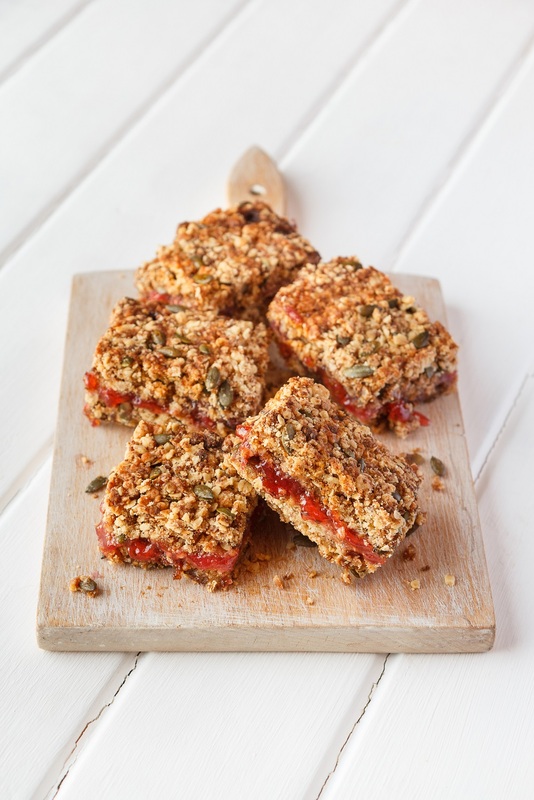 BerryWorld Crumble Traybake- Crumbly and fruity, the perfect traybake for picnics, snacks or lunch boxes. Fancy making this BerryWorld Crumble Traybake for your next picnic or afternoon tea recipe? First, make the filling. Put the gooseberries, sugar and cornflour in a saucepan on a medium heat and bring to a simmer. Cook, stirring occasionally 8-10 minutes until the sugar has dissolved and the juices become thick and jammy. Set aside. Heat the oven to 190C/170C fan and line an oven dish approximately 18cm x 25cm with greaseproof paper. In a bowl combine the flour, oats and butter in a bowl and rub together with your fingers. Gently break up the butter until the mixture looks like coarse crumbs. Stir in the muscovado sugar and pumpkin seeds, again using your fingers to break up the lumps of sugar, then tip half of the mixture into the prepared oven dish and press down firmly with your hands. Spread the berry mixture over the base then top with the rest of the crumble and press down again, as firmly as you can without squishing the fruit out. If using, drizzle the top with honey then bake for 35-40 minutes until golden. Allow to cool in the dish then cut into 18 bars and keep in an airtight tin. Note: This recipe works with any berries such as strawberries, raspberries or blackcurrants, just taste the ‘jam’, when it’s cool enough, and adjust the sugar if necessary. What do you think of this BerryWorld Crumble Traybake? As always, share your thoughts in the comments below. Healthy Chantenay, Grapefruit And Ginger Super Juice. Toy Story Irregular Choice Shoes. How much fun are my latest pair of shoes? 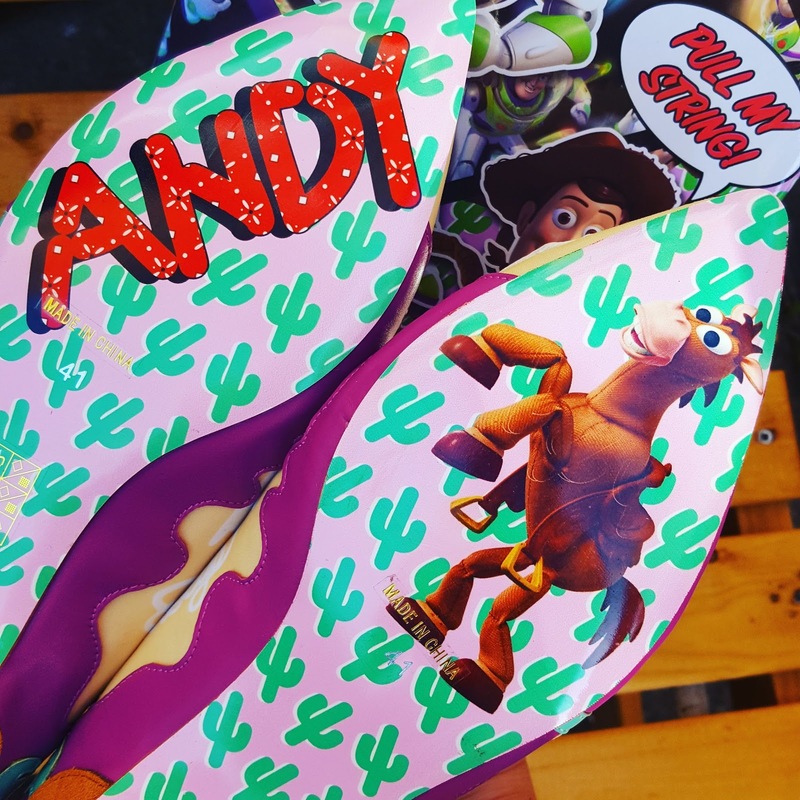 Toy Story ones by Irregular Choice Shoes. 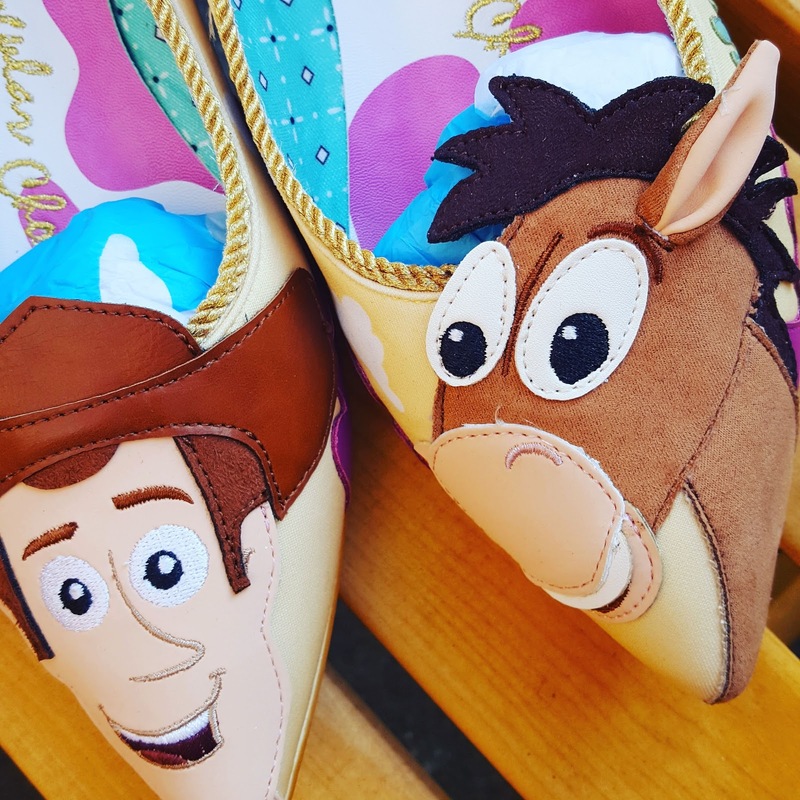 Toy Story Irregular Choice Shoes. "You're my favourite deputy!" "There's a snake in my boot!" 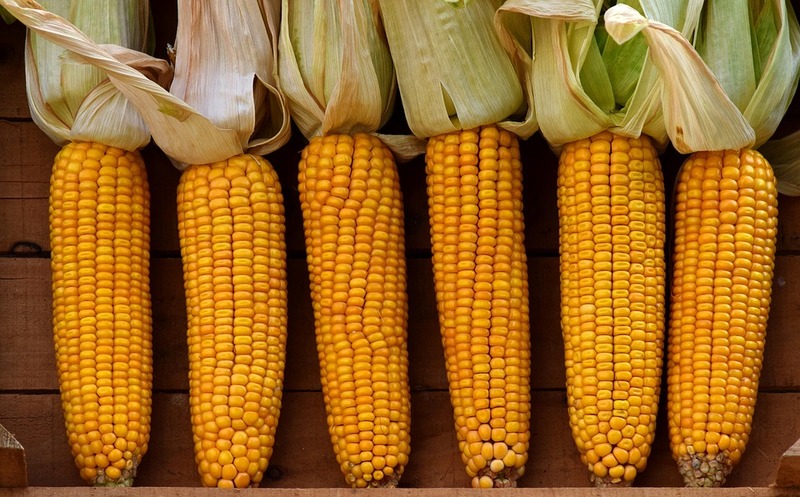 Anyone fancy making Barbecued Corn On The Cob With Shallot Herb Butter? 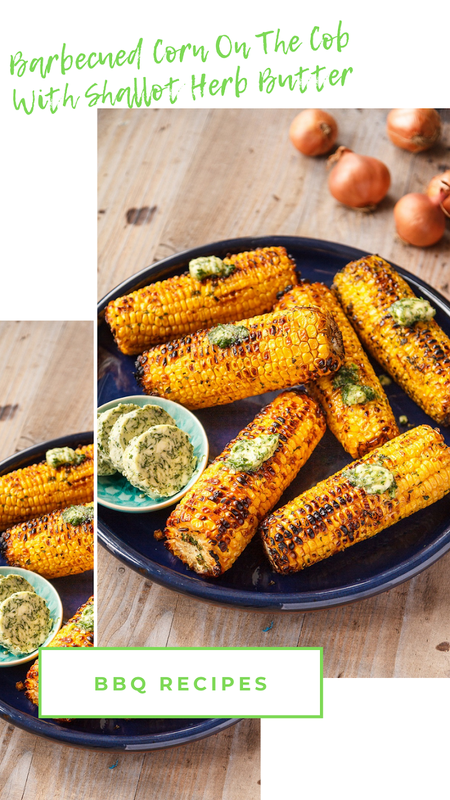 Barbecued Corn On The Cob With Shallot Herb Butter- Super easy side dish making the most of summer sweetcorn, a useful make ahead flavoured butter. This butter also works well with baked or new potatoes, or on top of a barbecued steak. 20g fresh herbs - a mix of parsley, chives, with just a little rosemary. Add the soft butter to a bowl (if its too hard, 20 seconds in the microwave should soften it just enough). Stir through the grated shallot and herbs and season well with salt and pepper. If you are making the butter ahead to use later then place it onto a sheet of clingfilm. Roll into a sausage shape then chill in the fridge. When you are ready to cook the corn take a little of this butter, a scant teaspoon, and rub all over a head of corn using clean hands. Repeat with the remaining corn. Reserve the rest of the butter for after cooking. Lay the buttered corn on the grill bars of the barbecue and cook for about 15 minutes, turning frequently, until they are lightly charred in places and the corn is tender. Serve immediately with the rest of the butter dotted on top. 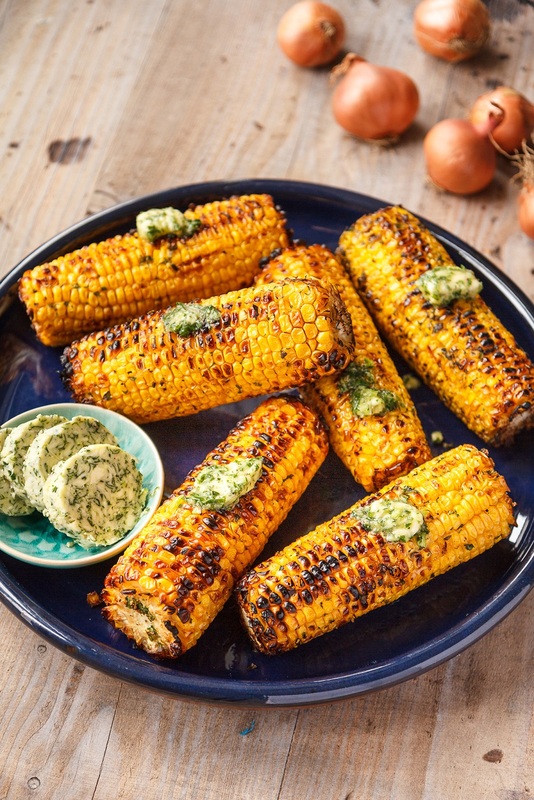 What do you think of this Barbecued Corn On The Cob With Shallot Herb Butter recipe? Recipe courtesy of UK Shallot. Vegan Mini Shallot Bhajis With Minted Yogurt. Isle of Wight Tomato Lunchbox Tarts. Fancy making some Isle of Wight Tomato Lunchbox Tarts? Isle of Wight Tomato Lunchbox Tarts - With crisp pastry, sweet tomatoes and salty cheese these tarts are a great alternative to sandwiches. Easy to make and totally delicious these vegetarian tarts will be gone in a flash. Unroll the puff pastry and cut into four equal rectangles. Score a 1cm border around the edge. Prick the centre of the pastry all over with a fork, place on a baking sheet and bake in the oven for 10 minutes. Spread the pesto over the centre of the pastry, top with the chopped Slow Roasted Tomatoes and then the halved Piccolo tomatoes and finally the mozzarella. 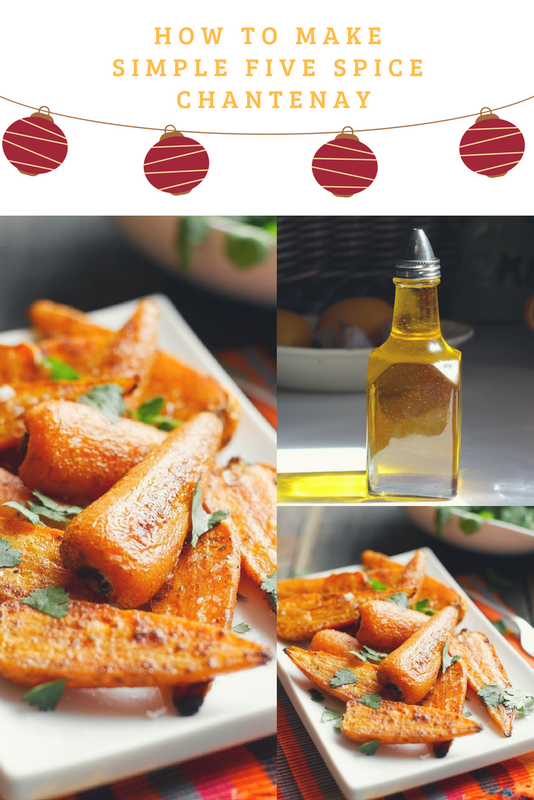 Season with salt and pepper and drizzle with olive oil. Return to the oven for 10 minutes. Serve with a few fresh basil leaves on top. What do you think of this Isle of Wight Tomato Lunchbox Tarts recipe? 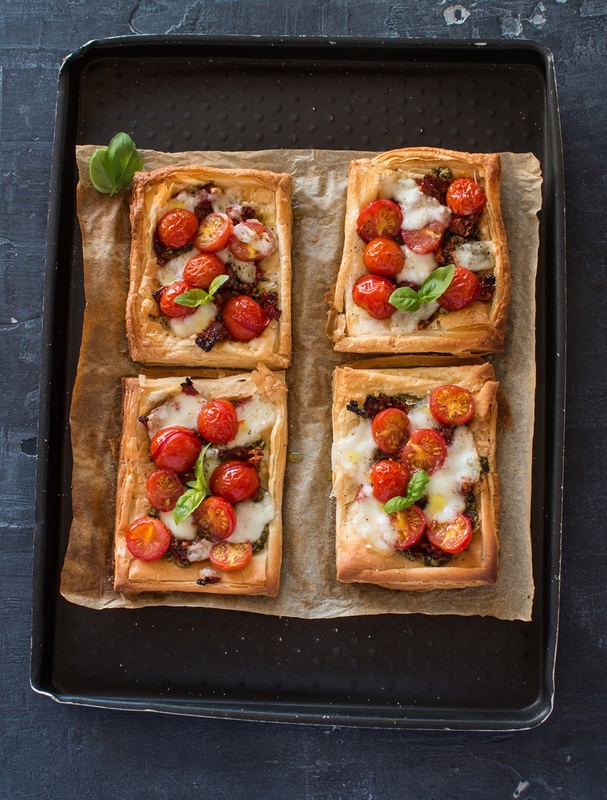 Tomato, Mozzarella & Basil Puff Pastry Tart – This gorgeous tart is deceptively simple. Packed with beautiful coloured tomatoes and creamy cheese this is the perfect start to any romantic meal. Tomato, Mozzarella & Basil Puff Pastry Tart. Fancy making a yummy juice drink full of goodness? Healthy Chantenay, Grapefruit And Ginger Super Juice anyone? Simple Five Spice Chantenay. 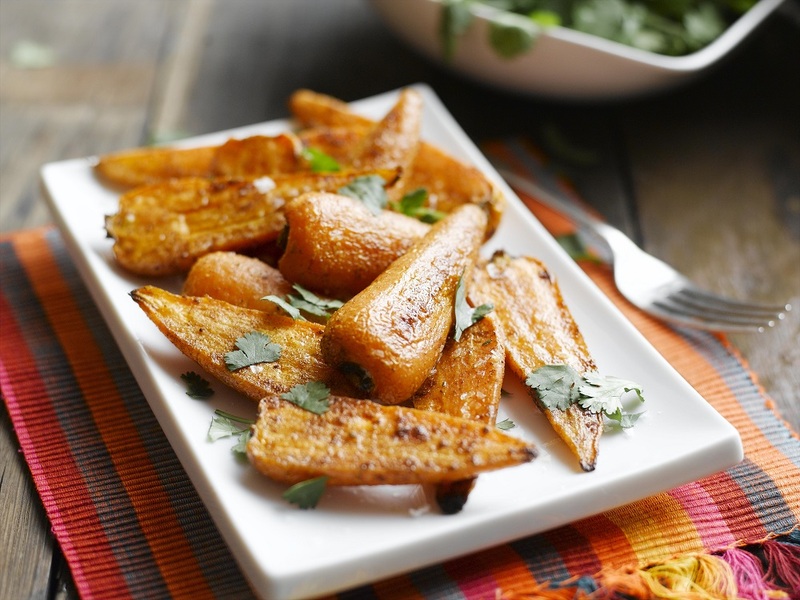 Spice up any mealtime with these fantastic, sweet tasting carrots that taste like carrots used to. Fancy making a yummy juice drink full of goodness? Healthy Chantenay, Grapefruit And Ginger Super Juice anyone? Super juice: Chantenay, Grapefruit And Ginger – A fresh and zingy summer drink to enjoy in the sunshine. Using a juicer, feed the carrots, grapefruit and ginger into the machine. Mix well and pour into two glasses. Serve immediately, over ice if desired. 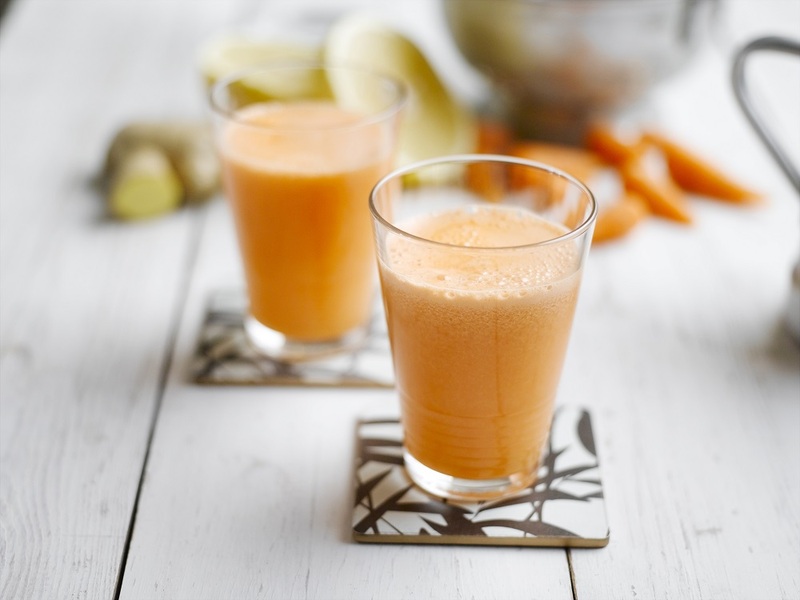 What do you think of this Healthy Chantenay, Grapefruit And Ginger Super Juice? Recipe and image courtesy of Chantenay. Fancy making a Chantenay, Thyme And Goat’s Cheese Tart? Perfect for this sunny weather. This makes a nice picnic treat or wholesome mid-week meal that easy really easy to whip up if you’re short on time. Chantenay, Thyme And Goat’s Cheese Tart. Fancy making some Chantenay And Raisin Breakfast Muffins for breakfast or brunch? A tasty recipe to try out over the weekend. Chantenay And Raisin Breakfast Muffins. Afternoon tea with a twist: A Twist On A Classic - Caribbean Afternoon Tea. Forget white bread and American cheese, why not serve up your brioche bistro-style with these delicious Le Rustique Brie de Caractère and Red Onion Chutney rolls. Toasted Brioche with Le Rustique Brie de Caractère. Mini Hasselback Cornish New Potatoes. 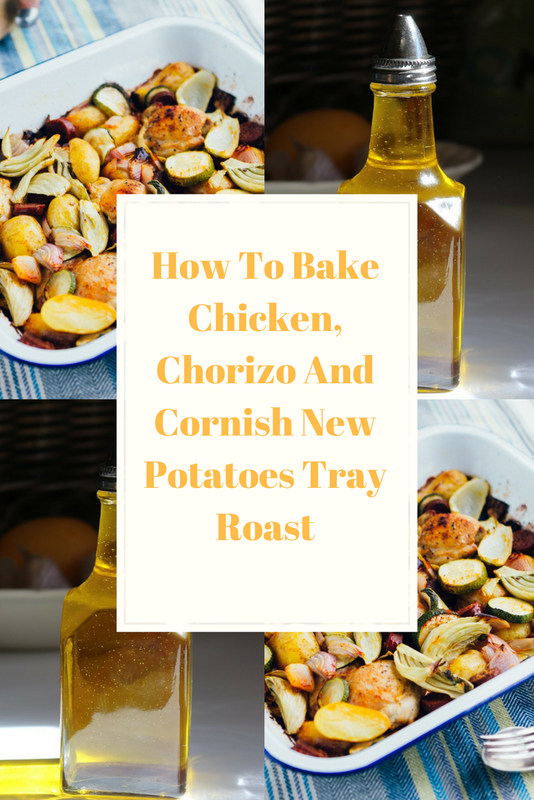 How To Bake Chicken, Chorizo And Cornish New Potatoes Tray Roast. 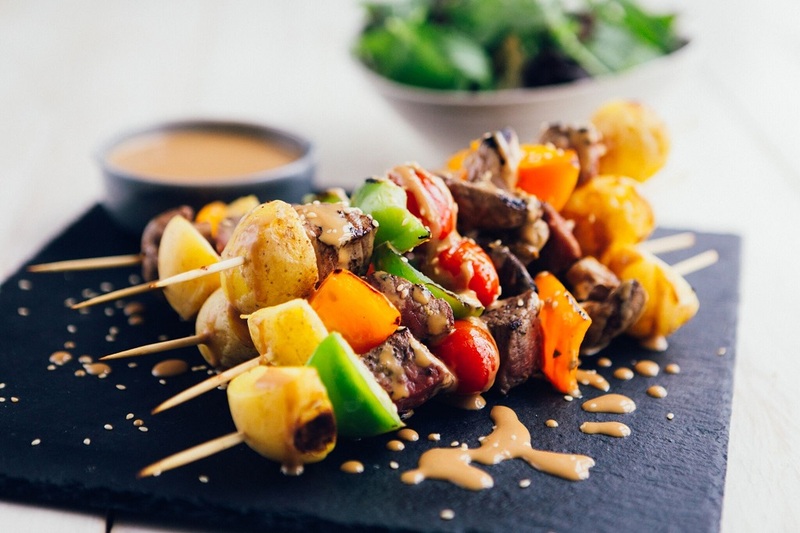 Tasty Grilled Cornish New Potato And Steak Skewers. This is a great protein-rich meal to refuel after a workout. Serve simply with a leafy salad on the side. 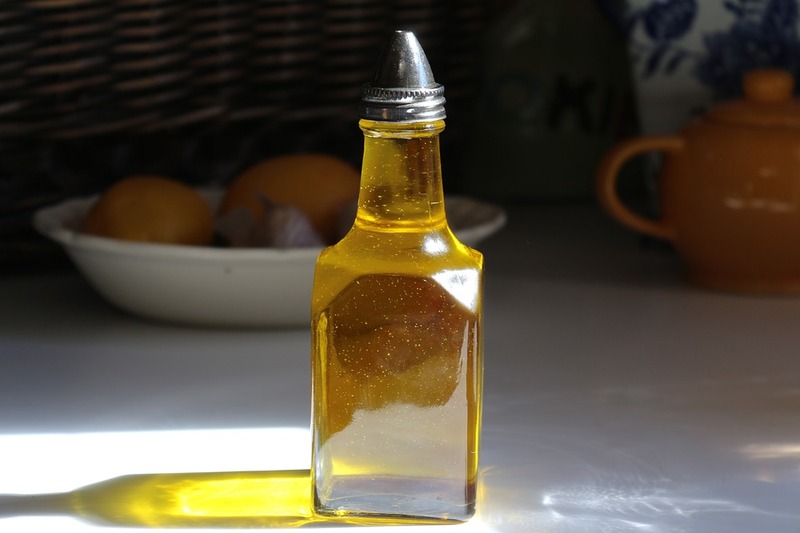 To make the dressing, simply whisk the ingredients together. Give the potatoes a wash and cut into halves or quarters. Simmer gently in salted water for 7 – 8 minutes until tender, then drain. Place the steak, potatoes, tomatoes, onion, mushrooms and peppers into a bowl with the olive oil and mix gently. 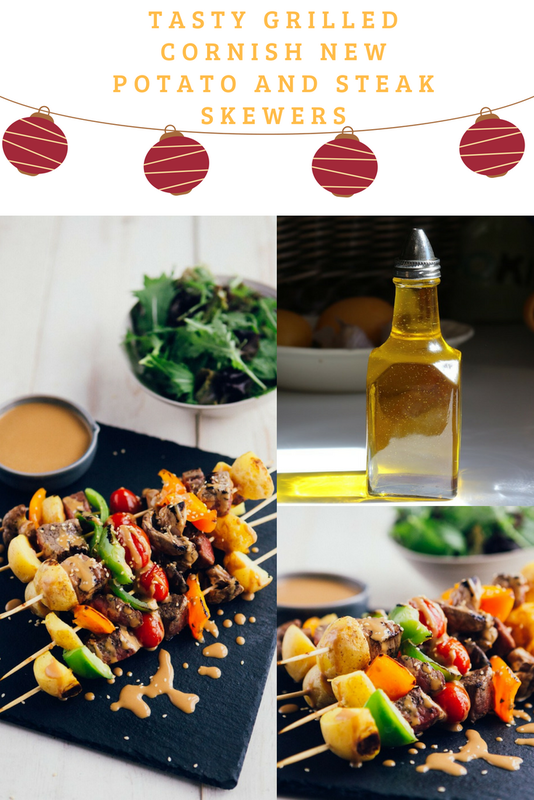 Thread the ingredients evenly onto wooden skewers. Season well. Place the skewers on the grill/griddle and cook for 8 – 10 minutes, turning the skewers frequently to get an even cook. 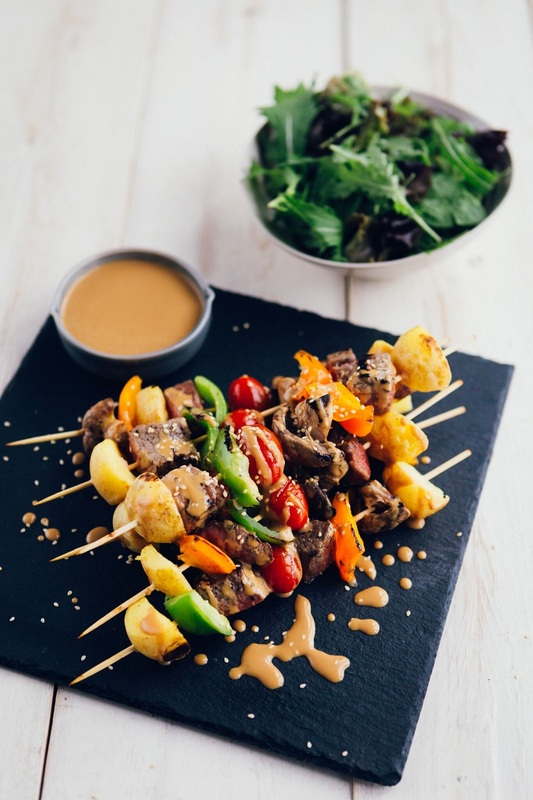 What do you think of these Tasty Grilled Cornish New Potato And Steak Skewers? Recipe and images courtesy of Seasonal Spuds. Tasty Grilled Cornish New Potato And Steak Skewers. This is a great protein-rich meal to refuel after a workout. Serve simply with a leafy salad on the side. Cornish New Potatoes are the UK's first mainland crop which follows Jersey Royals, available nationwide throughout their season. They're seasonal, fresh and the UK's first mainland new potato crop. They have a loose skin and a buttery texture due to the temperate climate and proximity to the sea. They're very versatile and make an ideal addition to all kinds of recipes, from summer salads and barbeque side dishes to hearty and filling mains. How To Make Simple Five Spice Chantenay. A Twist On A Classic - Caribbean Afternoon Tea. Happy Monday. 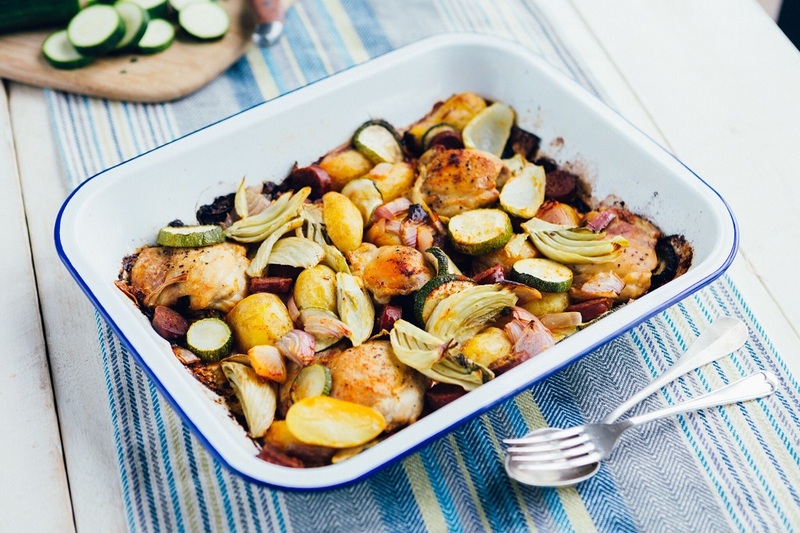 Fancy making a Chicken, Chorizo And Cornish New Potatoes Tray Roast? This healthy one tray roast makes it super easy to cook a roast dinner any day of the week. Preheat the oven to 220oC (fan 200 oC). Give the potatoes a wash, cut any large ones in half then simmer gently in salted water for 8 - 10 minutes until tender. Drain the water off. Place the chicken, fennel and potatoes in a large ovenproof dish, drizzle with olive oil, sprinkle the paprika over the chicken, season and pop in the oven for 15 minutes. Take the dish out the oven. Add the chorizo, tomatoes, courgette, garlic and red onion to the dish and pop back in the oven for a further half an hour, until everything is cooked through. Drizzle with lemon juice and serve. 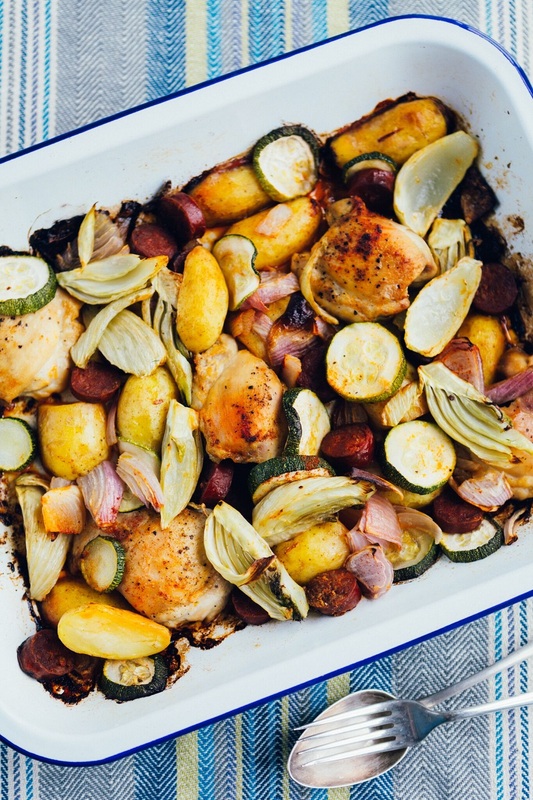 What do you think of this How To Bake Chicken, Chorizo And Cornish New Potatoes Tray Roast? Chicken, Chorizo And Cornish New Potatoes Tray Roast. This healthy one tray roast makes it super easy to cook a roast dinner any day of the week. Cornish New Potatoes are the UK's first mainland crop which follows Jersey Royals, available nationwide throughout their season. They're seasonal, fresh and the UK's first mainland new potato crop. They have a loose skin and a buttery texture due to the temperate climate and proximity to the sea. They're very versatile and make an ideal addition to all kinds of recipes, from summer salads and barbeque side dishes to hearty and filling mains. How To Make A Salmon Rainbow Salad Bowl. Hello friends. 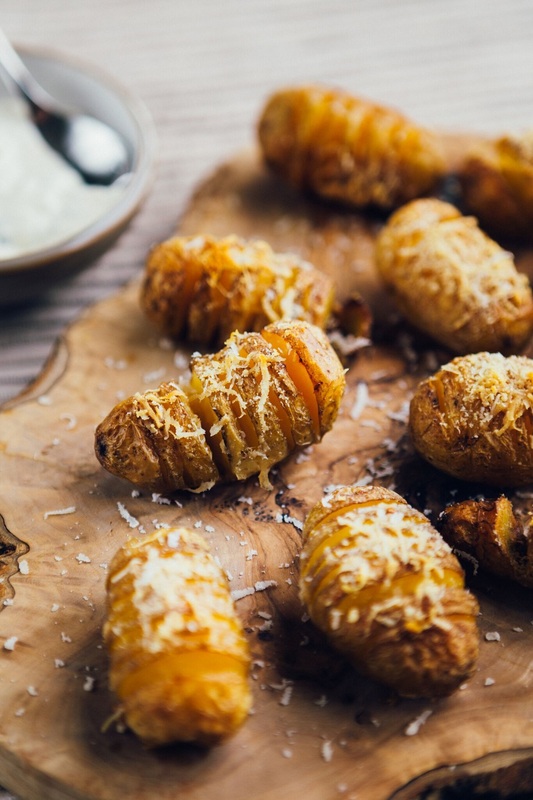 Fancy making some Mini Hasselback Cornish New potatoes? 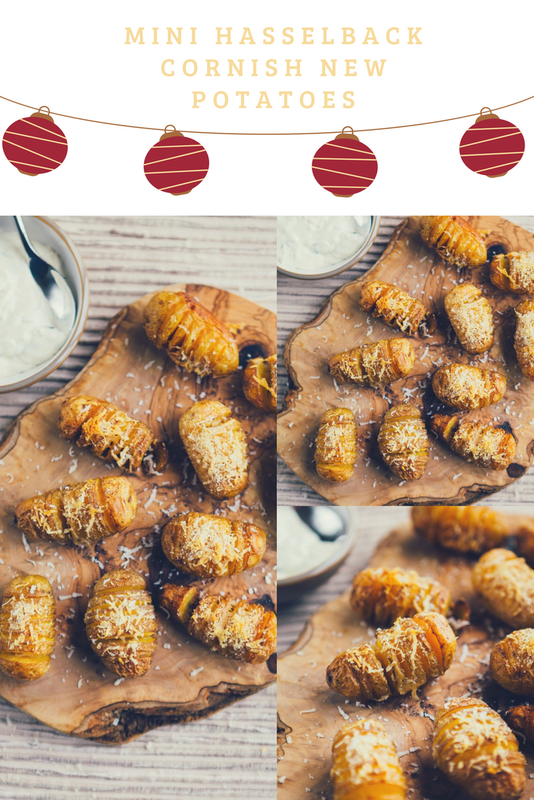 Mini Hasselback Cornish New Potatoes- These diddy little Hasselback potatoes are much quicker to cook than their full-sized buddies. Rest each potato in the bowl of a spoon to make the cuts so that you don’t slice all the way through. For the dip mix the double cream with the lemon juice until the cream thickens then stir in the chives. Serve this on the side. Preheat the oven to 200oC (fan 180oC). Make several cuts along each potato but not all the way through. Put them cut side up on a baking tray. Put the butter and garlic into a pan, season, then warm through until the butter is melted. Brush the butter and garlic mixture over the potatoes and roast them in the oven for 20 minutes. Sprinkle with parmesan, then pop them back in the oven for a further 15 - 20 minutes until the parmesan has melted and the potatoes are golden. 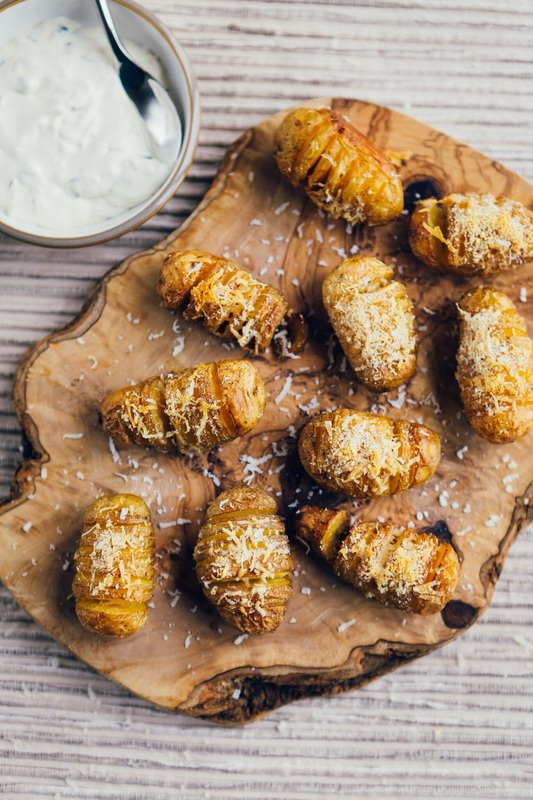 What do you think of these Mini Hasselback Cornish New potatoes? Wash some Chantenay and halve if large. Toss in olive oil and a generous sprinkling of Chinese Five Spice powder. Roast in a hot oven for 20-30 minutes until the Chantenay are tender. Season with salt and pepper and garnish with chopped coriander to serve. How To Make A Chantenay, Thyme And Goat’s Cheese Tart. Chantenay And Raisin Breakfast Muffins For The Weekend. Fancy A Chantenay Prosciutto And Rocket Salad?